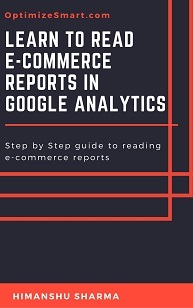 Unless you have already read at least 10 articles on Google Analytics, you can’t figure out what this report is about. #1 What is google /cpc? #3 What are new users? #4 What is bounce rate? #5 Why there are two entries for facebook? #6 What is t.co? Is it a spam? 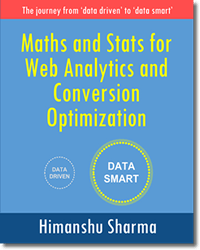 The only terms which look familiar to a not so Google Analytics savvy person (like your client) is Google and Facebook. All others are alien terminology. So even after having all of the website usage data, such GA reports are pretty much useless for an average website owner. He needs the help of a web analyst to interpret these reports for him. Much easier to understand. Isn’t it? We are going to do something like this for our GA reports to make them easier to understand esp. for our clients. 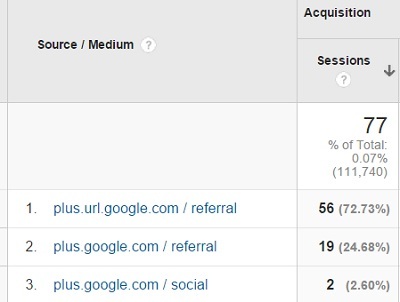 By the way, did you know, Google Analytics can report the performance of a marketing channel via several traffic sources? So if you are not very careful, you may just take the traffic from google /cpc into account while interpreting reports and can draw the conclusion that Google Adwords sent 430,635 visits to the website in the last 1 month. When in fact, Google Adwords sent 571,060 (430,635 + 133,147 + 7,278) visits to the website in the last 1 month. Now how many marketers go through the trouble of consolidating all of the marketing channel’s data before interpreting it? Not many. This scenario is quite common and occurs mainly when ad campaigns were tagged without any proper thought / planning i.e. 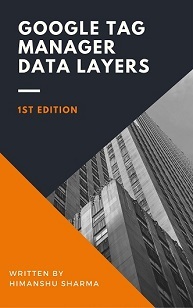 when there is no consistency maintained in naming the various campaign tracking parameters and/or when campaign tracking parameter do not match GA predefined channel rules. Someone could first choose to tag ad campaigns with ‘CPC‘ as medium and then later tag new campaigns with ‘cpc’ as medium and then further down the line, tag new ad campaigns with ‘ppc‘ as medium. Note: in GA, the names of traffic source and medium are case sensitive. But they still all refer to the same marketing channel i.e. 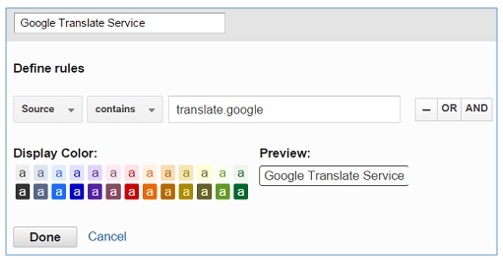 Google Adwords. 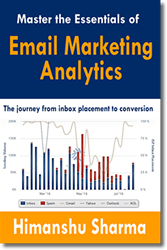 Many marketers are not aware of this issue and/or do not always religiously filter out such data every time they interpret the traffic reports. Many take only that traffic source(s) into account which appear as top 10 in GA acquisition reports. 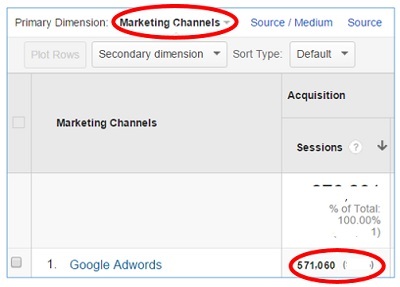 Google Analytics is not going to consolidate the traffic data from google / cpc, Google / cpc, google / CPC and/or GOOGLE / CPC and report it to you as Adwords traffic. This is something you need to do it, yourself. And if you don’t do it then you will get poor insight from GA reports. 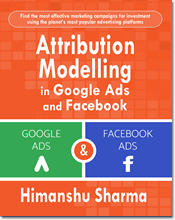 So first step is to identify all the traffic sources which are basically Google Adwords Traffic. 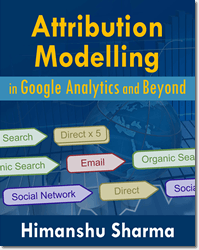 Then you need to consolidate the data from different traffic sources into one custom Google Adwords channel. 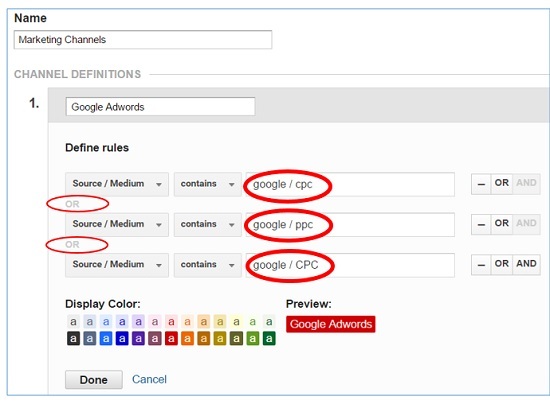 To accomplish this task, you will need to create custom channel for Google Adwords via custom channel grouping. Step-5: Click on the ‘Done’ button and then on the ‘Save’ button. 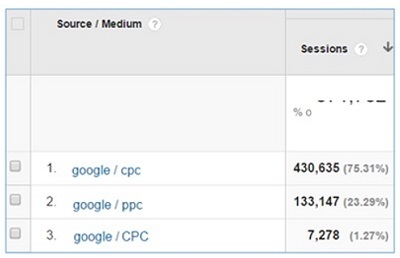 Note the total number of sessions from Google Adwords. It is 571,060 which matched our previous calculation. This proves that the new marketing channel we created for reporting on Google Adwords traffic is consolidating the data correctly. 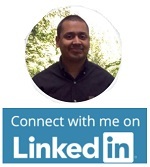 You need to do such test every time you create a new marketing channel in GA. 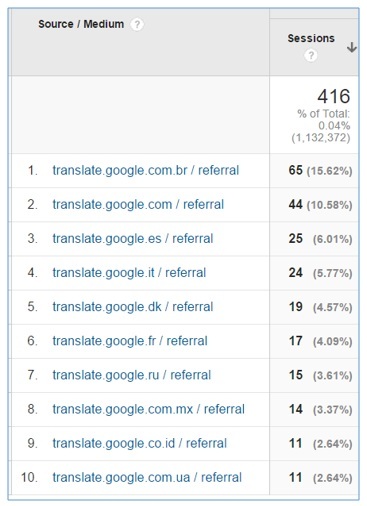 So if you are not very careful, you may just take the traffic from facebook.com / referral into account while interpreting reports and can draw the conclusion that Facebook sent 965 visits to the website in the last 1 month. 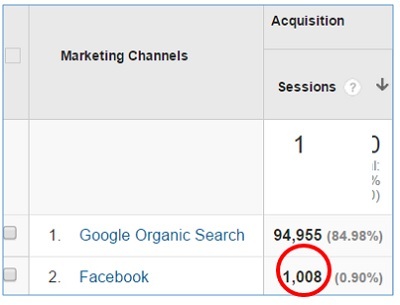 When in fact, Facebook sent 1,009 (965 + 19 + 13 + 10 + 1 +1) visits to the website in the last 1 month. 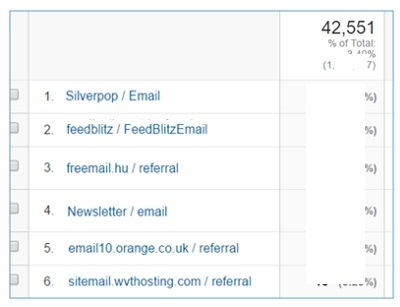 So if you are taking only facebook.com / referral traffic into account while trying to understand the Facebook performance as a marketing channel, you will draw wrong conclusions, you will misinterpret the data. The traffic from all of these traffic sources is basically facebook traffic. 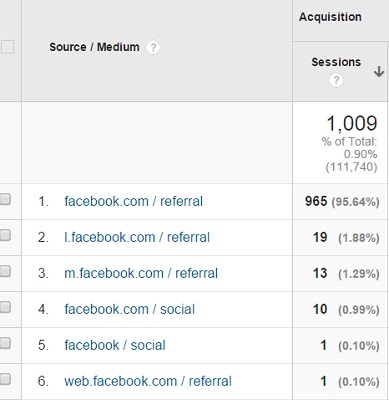 But Google Analytics is not going to consolidate all of this data and report it to you as facebook traffic. This is something you need to do it, yourself. So first step is to identify all of the traffic sources which belong to Facebook. 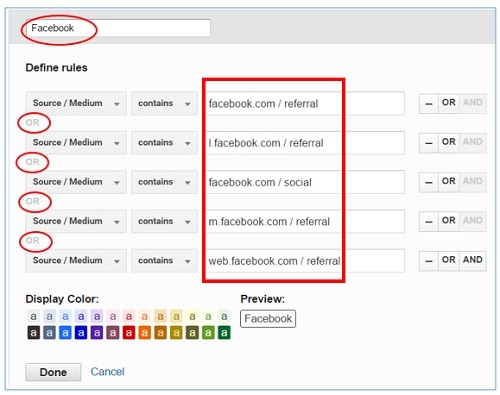 Then you need to consolidate the data from different traffic sources into one custom Facebook channel. To accomplish this task, you will need to create custom channel for facebook via custom channel grouping. 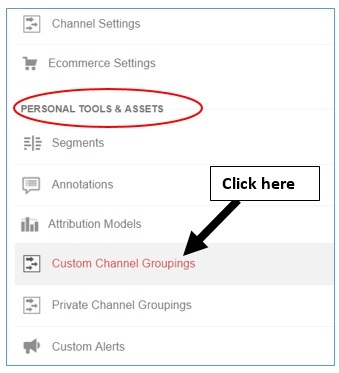 Step-1: click on the ‘Custom Channel Groupings’ link in the Admin section of your main view. 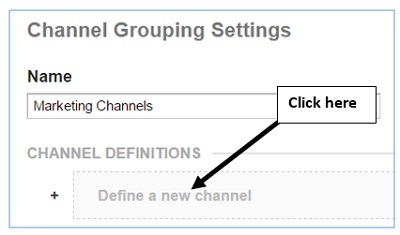 Step-2: click on the ‘Marketing Channels’ link and then click on ‘Define a new channel’ button. Note the total number of sessions from Facebook. It is 1,008 which matched our previous calculation of 1,009. It is not an exact match but very close. Sometimes due to data sampling issues, numbers do not exactly match. This proves that the new marketing channel we created for reporting on Facebook traffic is consolidating all of the facebook traffic data correctly. So if you are taking only twitter.com traffic into account while trying to understand the twitter performance as a marketing channel, you will draw wrong conclusions, you will misinterpret the data. Now people can also access twitter via different apps like: hootsuite, tweetdeck, twitterfeed etc. So traffic from all of these traffic sources is basically twitter traffic. 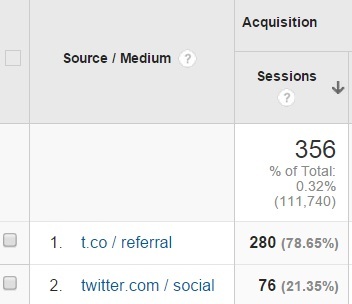 But Google Analytics is not going to consolidate all of this data and report it to you as twitter traffic. This is something you need to do it, yourself. So first step is to identify all the traffic sources which are basically twitter traffic. 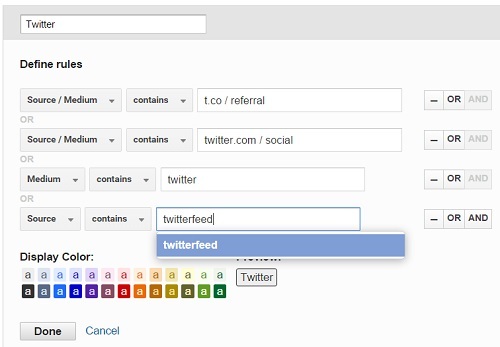 Then you need to consolidate the data from different traffic sources into one custom Twitter channel. 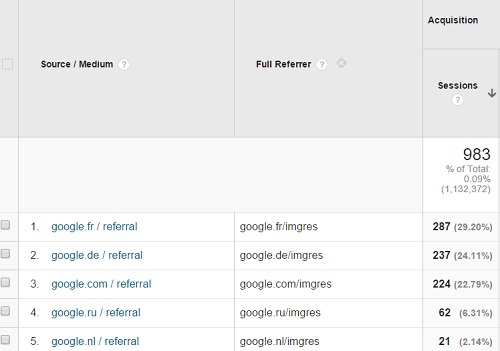 Pay attention to the word ‘imgres’ in the full referrer, that denotes Google Image Search. 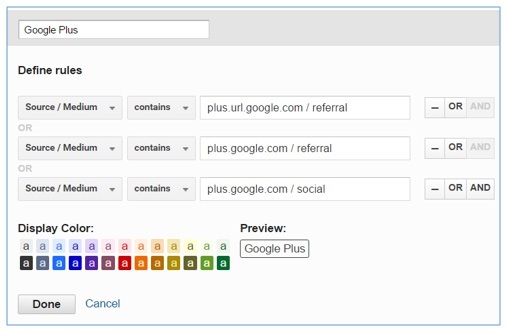 Note: Traffic from Google Image Search is counted as referral traffic instead of organic traffic. This definition of Google image search works well in my situation as I almost always get Google Image search traffic from country specific Google properties. But this may not be the case in your situation. So don’t just blindly copy my channel rules but define your own rules which meet your specific needs or marketing objectives. Whenever a person visit your website from a private network, GA reports a private IP address as referral traffic. 10.10.55.60 / referral => Here 10.10.55.60 is the private IP address. 10.10.55.60:15871 / referral => Here 10.10.55.60 is the private IP address and 15871 is a port number. Whenever you see a number separated by a colon in a IP address, that number is a port number. Public IP addresses are assigned to all of the computers on the internet. Private IP addresses are assigned to computers on private networks (local area networks). 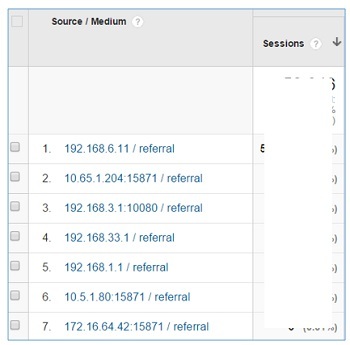 You should exclude these IP addresses from your GA main view via custom exclude filter. Your aim should be to minimize the private network traffic. That’s why you need to create a custom channel to monitor it. In big companies, such traffic can very easily skew the website usage data. 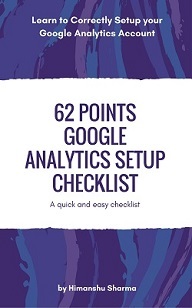 You must have noticed it by now, that Google’s predefined definitions of marketing channels are not accurate and 60 to 70% of marketing channels are labelled and reported as referral traffic, even when the visits are coming from social media, email, private networks, Google Image search, Affiliates etc. 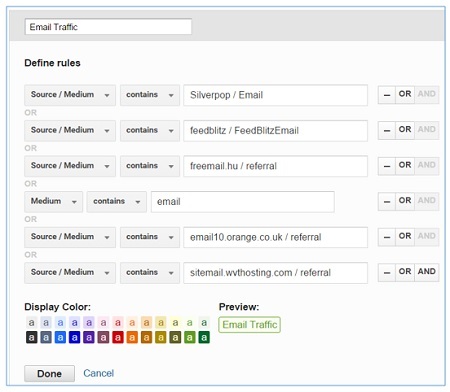 So you need to segment the referral traffic via custom channels in order to understand the performance of your marketing channels better.